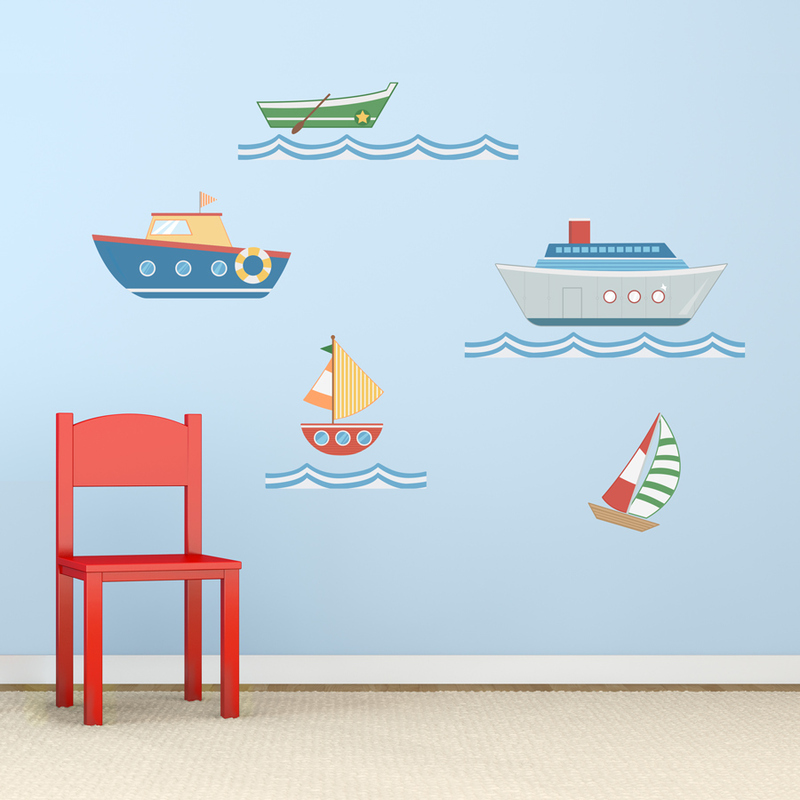 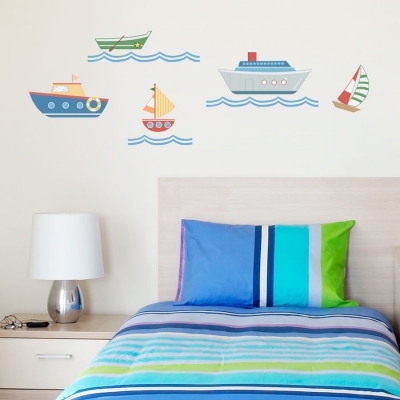 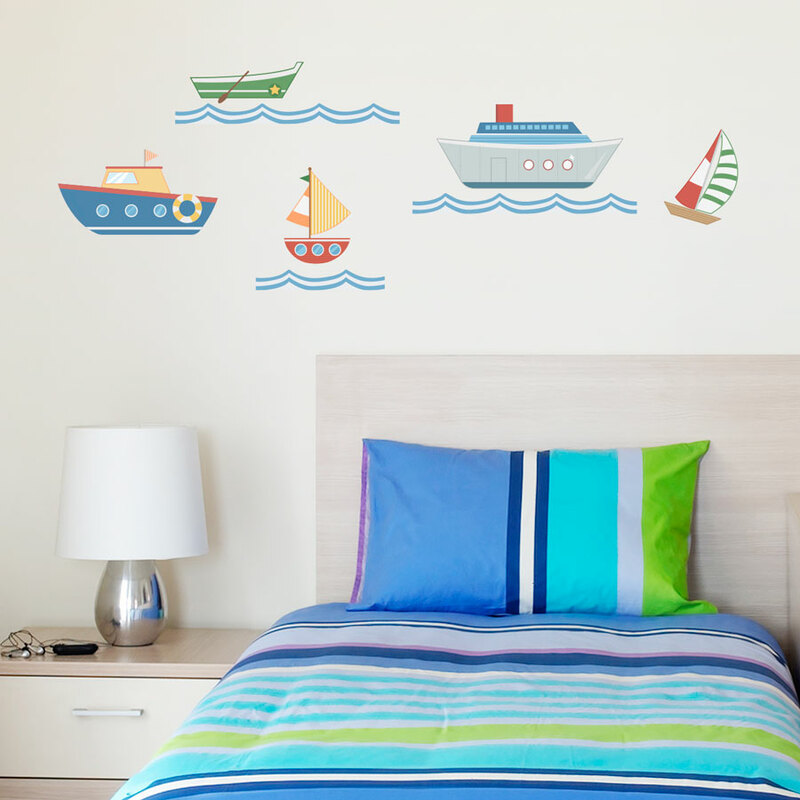 This decal kit includes 5 different styled boats ranging from a big cruise ship to a small row boat to help transform any room into a fleet week event! 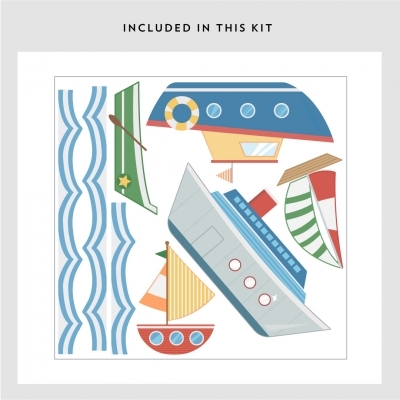 Available in two kit sizes. 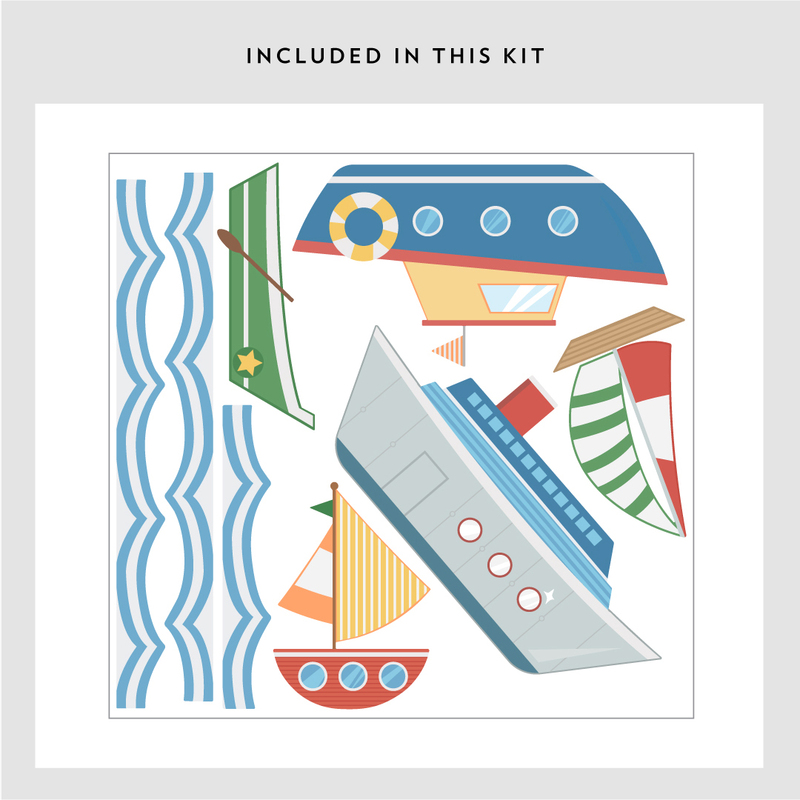 Please note: Colors and sizing may vary slightly from the image above.